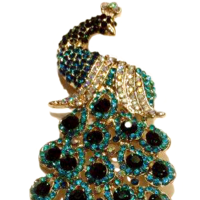 From fine to funky, these treasures are some of my personal favorites and make my mouth water! 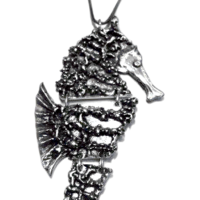 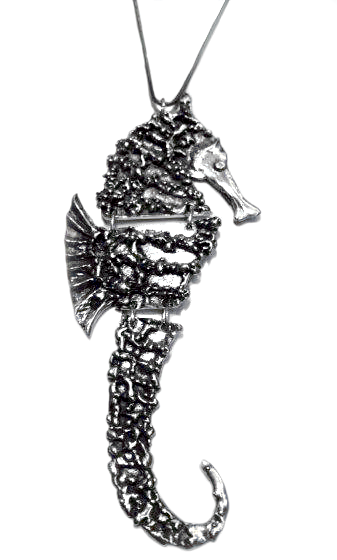 Handmade, 6" high sterling silver seahorse — guaranteed compliments! 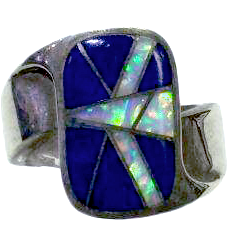 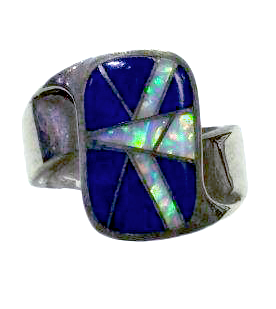 Sterling silver inlay fire opal and lapis. 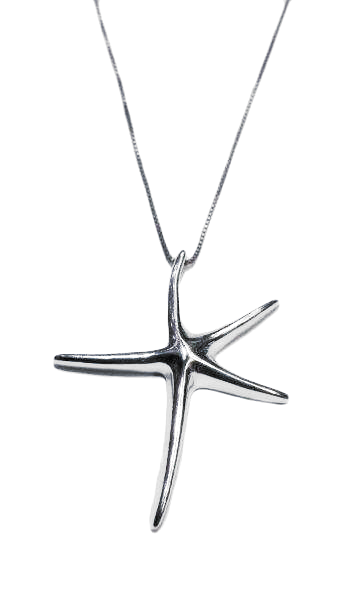 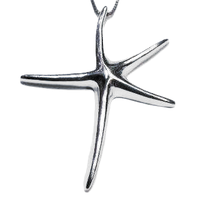 Sculptural sterling silver starfish on chain. 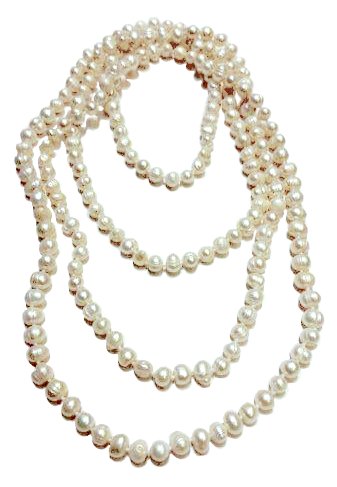 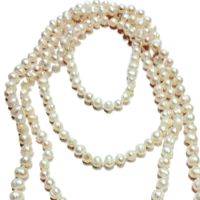 64" long, knotted pearl strand. 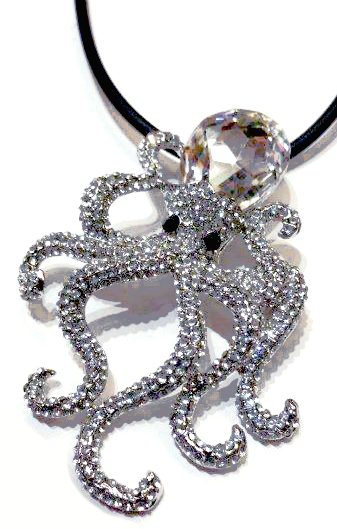 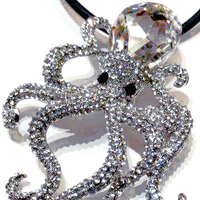 Major bling (5" high!) 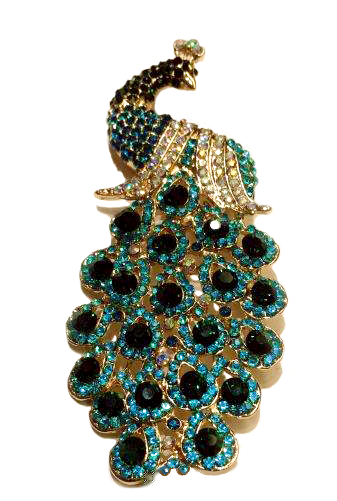 peacock brooch. 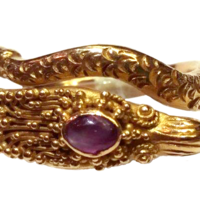 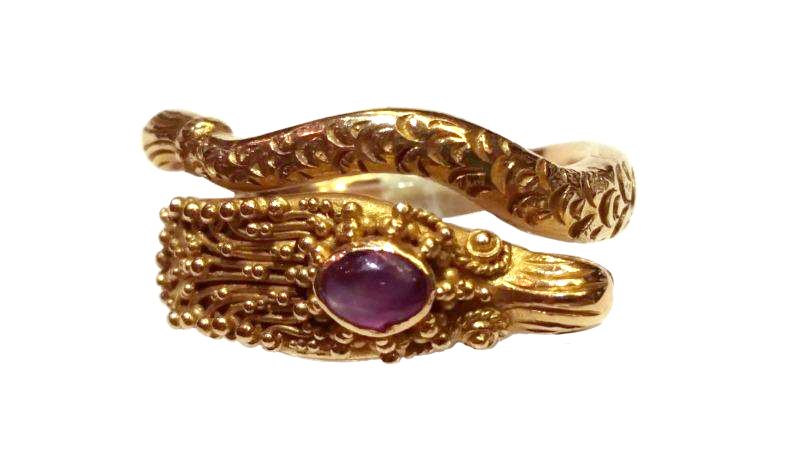 18 karat yellow gold Victorian serpent/dragon design complete with cat’s eye. 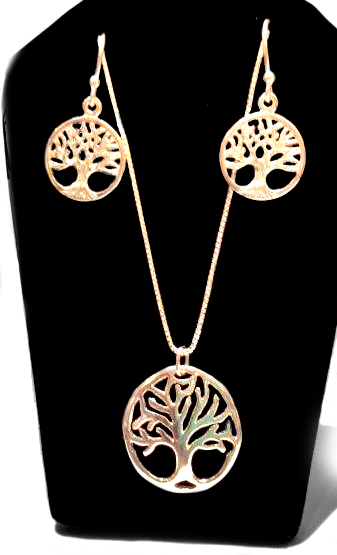 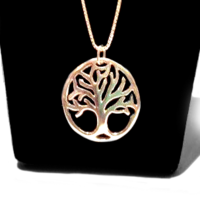 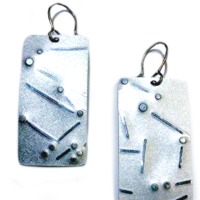 Sterling silver "Tree of Life" necklace and earrings. 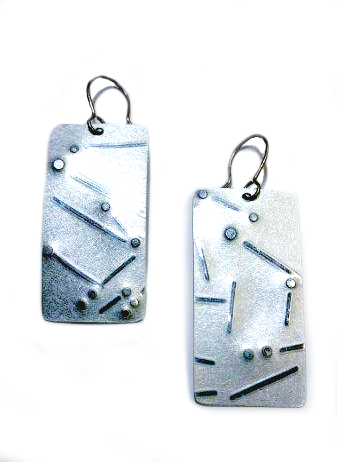 Comes as a set.